"Cooking is even more fun than eating"
Have you ever stared at your fridge (full or empty), and wondered: What can I cook with this stuff? Have you ever wanted to eat healthier, but didn't know how to make it look good, tasty and nourishing at the same time? Do you have trouble choosing healthy food over unhealthy food, just because you think it's easier? Workshop: Easy and quick vegan dishes. It made my life easier and it also optimized my trips to the supermarket. I feel that I have a lot more desire to cook and I choose healthier ingredients. It was a singular experience, objective and very efficient. The best part of the experience is being able to open the cabinets and see that everything has its own place.It would indicate this service to friends that are moms, or just people who have a busy life. "The workshop was just AMAZING! All the dishes we cooked were so delicious and so simple! Juciane showed us some top chef kitchen hacks that were completely new to us, even though we cook all the time (I'm talking about how to efficiently cut veggies, how to prep your chopping board etc.)! She maintained the entire kitchen clean, so we could completely focus on cooking. It was so much fun! The food was so yummy and so healthy! We felt so light and good after eating. Juciane is an incredible chef and we highly recommend her workshops to anyone who wants more creativity, fun, and healthy food in their life!" Since then, I just couldn't get out of the food industry, because I love it so much, and cooking has clearly become my true passion! 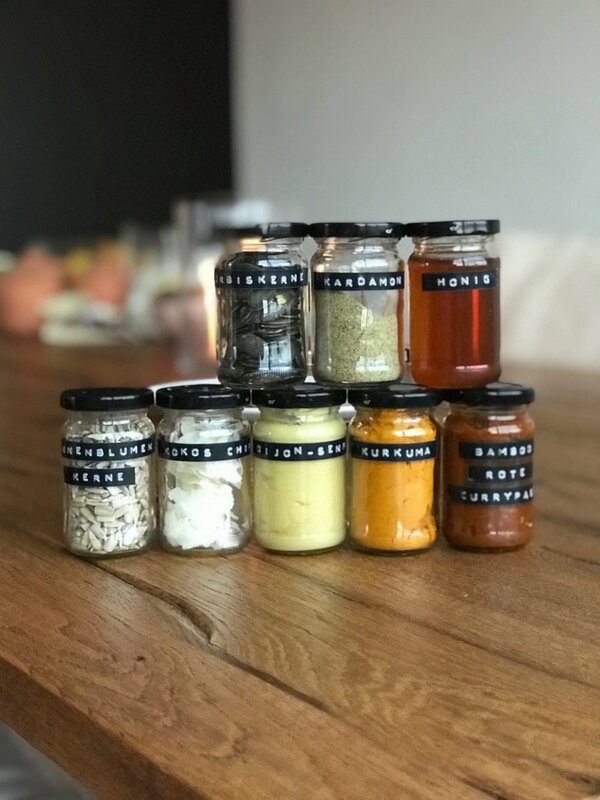 Together with my husband, I own the healthy and homemade curries restaurant and takeout Bam Boo in Zurich, Switzerland. It excites me to discover new delicious flavours and look for new creative recipes. I believe that through food, we show our love and give our best to our family, friends or just ourselves. I'm happy to answer any questions you may have about my workshops!